I will continue to keep Alex and your family in my prayers. He is in my prayers as are all of you. Such a sweetheart! I have baby Alex and his family in my thoughts and prayers. Sending my prayers, love and((((HUGS))).. I'd love to be able to pick him up and give him a great big hug! He's so precious!! He's SO precious, Cyn....and I cannot imagine how your heart is breaking into bits. I will be praying for you, my friend and for little Alex and his parents. Love, hugs and prayers for this precious little one and his family. Unless we become as little children, we shall not enter the Kingdom of God. Look at those trusting eyes. He's a sweetheart, Cyn. You and Alex and the family remain in our prayers. Every day and throughout the day Cyn. Continuing with my prayers for Alex. He is adorable. 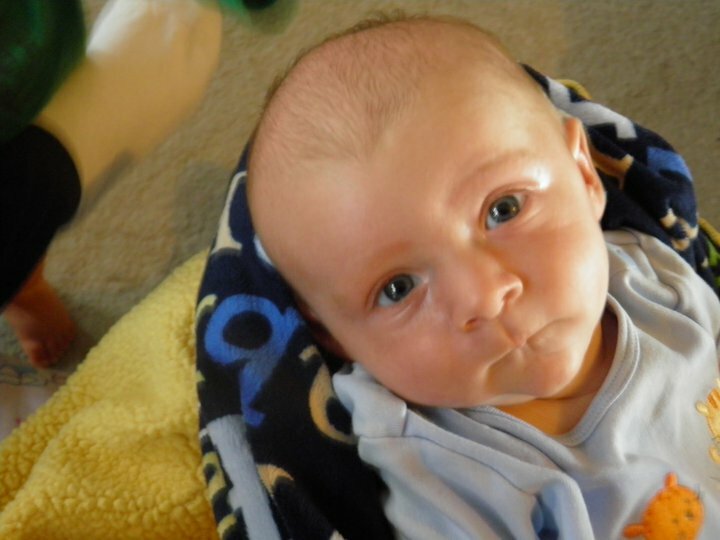 Upon looking at the photo of sweet baby Alex, I clearly understand the meaning "the eyes are the windows to the soul." God bless this precious baby boy and his family. Such a sweet soul. We will move mountains! Priceless! Continued prayer forAlex and his family. sweet little Alex prayers from Florida for you and your family. This sweet angel is in my prayers as well as your family! I hope you enjoy all the blessings this little guy holds! Maybe you will have time to stop by my blog and see what is going on in my neck of the woods! Become a follower! How precious and beautiful! You have a beautiful little man there! Thank you so much for taking the time and sharing with.........we will continue to go to the Father on your families and Alex's behalf. Beautiful pic of his precious Momma and Daddy!